Momentum - A renewed range adapted to the expectations of Chinese customers. Driven by the SUV offensive, the recently launched New C3-XR SUV will be on display alongside New C4 Aircross SUV (the Chinese version of C3 Aircross) and C5 Aircross SUV. Additionally, the offensive in the sedan segment will be on display, with an upgraded C4 L, which finishes off the range composed of C-Elysée, C4, C5 and C6. These models, in reference to the new ‘Origins’ Collector’s Edition, combine harmonious styling and outstanding comfort drawing on 100 years of expertise. Present in China for 27 years and as Citroën’s second largest market worldwide (just behind France) with more than 113,000 registrations in 2018, China is considerably important to the brand. China is a particularly competitive market, due to the number of manufacturers and pressure on prices for mainstream brands. As a result, Dongfeng Citroën has kicked off the new year with major ambitions. Driven by the SUV offensive, the brand has launched three models in under 2 years, including New C3-XR SUV, which is currently in its launch phase, and is in the process of modernising its sedans and restructuring its network. From Geneva to Shanghai with Ami One Concept, the first of two concept vehicles celebrating the centenary, Citroën expresses a new vision of urban mobility, responding to new customer behaviours and the challenges of the energy transition. Since 1919, Citroën’s history has been rich with non-conformist and revolutionary vehicles that have become icons in the hearts of motorists. A century later, the brand is reinventing itself and unveiling to Chinese customers its uninhibited approach to urban mobility. Similar to the 2CV in its day, Ami One Concept advocates freedom of movement for everyone and possesses all the potential of a popular urban automotive icon. Ami One Concept is an accessible and responsible mobility solution particularly adapted to the issues of Chinese cities. A disruptive, trendy and distinctive object with an ultra-compact body and fully powered by electricity, it enables two people to travel freely around the city. Ami One Concept places digital resources at the heart of an affordable, simple and carefree mobility experience. 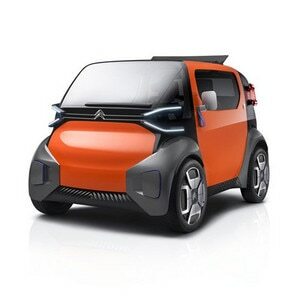 Accessible to everyone (even those without a driving licence, where permitted), adapted to each person (‘on demand’ experience from five minutes to five years) and managed by a special smartphone app, Ami One Concept will be exhibited in motion on the Dongfeng Citroën stand. The concept vehicle illustrates Citroën’s vision of freedom in the city: #LibertyElectriCityMobility. 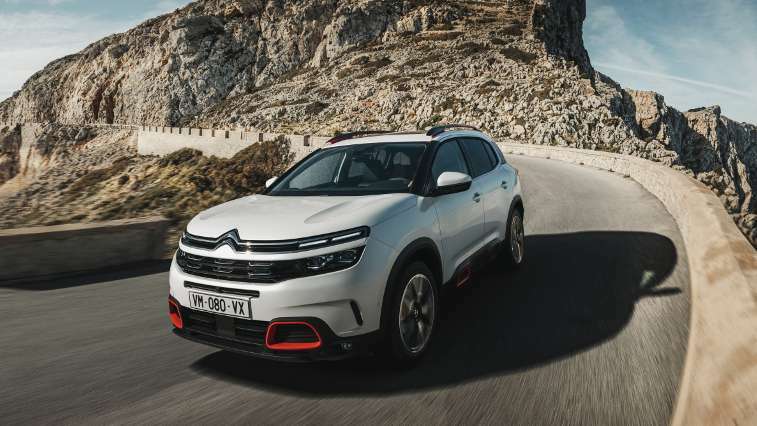 To boost its presence in the SUV market, the highest-potential segment in China, Citroën possesses a harmonious range of three modern and high-tech SUVs, all of them launched in under 2 years. With a distinctive personality and modern technologies, New C4-XR SUV stands as an affordable, attractive and versatile offer alongside C4 Aircross SUV and C5 Aircross SUV, two SUV’s offering a bold design and more comfort. New C3-XR SUV, currently in its launch phase, follows a popular model produced at Wuhan that has already sold nearly 180,000 units in China since launch in late 2014. The styling of New C3-XR SUV has been substantially upgraded to boost its appeal. It maintains its spirit and spaciousness but adopts a more playful attitude with increased customisation possibilities. New C3-XR SUV is also available with new technologies, including an HSAE infotainment system with a 9-inch touchscreen, while prices are more attractive for the same impressive comfort. It rounds out a core-market offering alongside New C4 Aircross SUV and C5 Aircross SUV. First launched in China in late 2012, and then having undergone a restyle, the Lounge version of Citroën C4 is dedicated to the Chinese market and produced locally at Wuhan. Citroën C4 L has been upgraded slightly for Spring 2019 in terms of style and technology. Faithful to the brand's styling cues and values, the high-end C-segment sedan gains a more contemporary interior, even more creative technologies (dashboard with a new touchscreen) and top interior features for comfort and well-being. 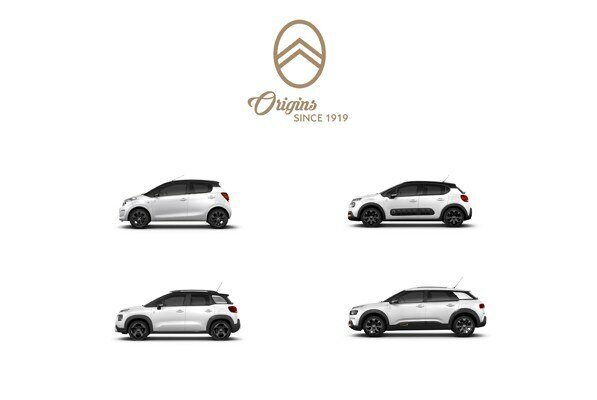 To celebrate its centennial year on the stand at Shanghai, Citroën is unveiling its ‘Origins’ Collector’s Editions, which have been launched internationally. These editions have a strong styling message and embody the Citroën Advanced Comfort® programme. They have acquired specially restyled colours and materials echoing Citroën’s past and highlighting their meticulous customisation inside and out. Dynamic, warm and digital, the stand has been transformed into a playground for Ami One Concept. The new 900m2 stand plunges visitors into the world of Citroën. Two spaces with distinct ambiances allow visitors to travel through time alongside an icon of the past, major current models, and a vision of the future with a new global mobility experience. This is demonstrated through an intuitive and accessible digital ecosystem represented by a digital experience simulator. Visitors enter the stand through an archway sporting the Citroën identity, which reflects the silhouette of a house, above which rises a bronze ‘Citroën Origins’ logo. This initial welcome area contains comfortable armchairs and digital screens that visitors can use to browse the Citroën ‘Origins’ website www.citroenorigins.co.uk/en which is home to all of Citroën’s historical models. The space leads to a flight of chevrons suspended over the current range and in a nod to the centenary, one iconic model, the Traction Avant. They are laid out in a large chevron shape on a wood-finished floor reflecting the meticulous care paid to every detail. To add to the centenary celebrations, there will be a Traction Avant belonging to a Chinese customer that has been updated to reflect today’s aesthetics. With its revolutionary technical innovations, the Traction Avant opened the way for the modern automobile in 1934. A true icon, it has been embellished with colours and materials which echo the ‘Origins’ Collector’s Editions. 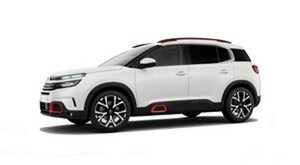 As with the Chinese exhibited models, it will have a White body colour and a bronze-coloured logo on the front doors in reference to Citroën’s history. 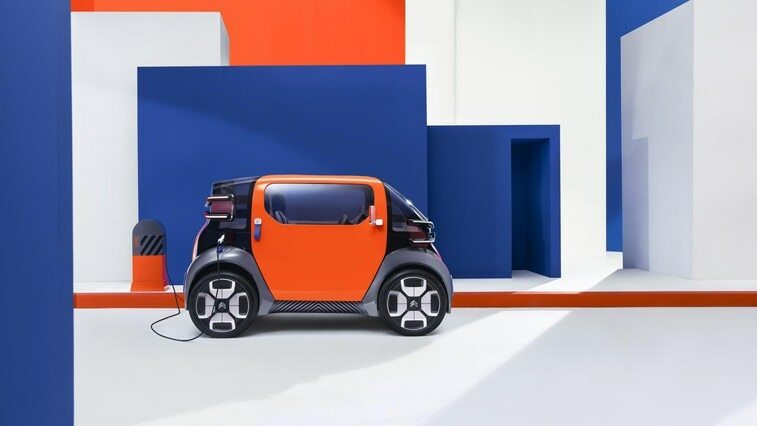 The second area, spacious and colourful, features the Ami One Concept colours, while the façade is dominated by the #LibertyElectriCityMobility manifesto. Expressing a vision of the future through its design and content, the space is also the venue of ‘The Place to C’ Live Performance, which will take place three times a day. The bold staging created for the disruptive electric urban mobility object makes visitors a key part of the action, thanks to the new tiered arena. A highlight of the stand, Ami One Concept takes on a new dimension by appearing in its own ‘playground’, in a dynamic presentation similar to that at the Geneva Motor Show, for which Citroën won the ‘2019 Creativity Award’. When stationary, Ami One Concept is displayed on a podium including a charging station as part of a highly visual display. Citroën is also presenting its ‘Comptoir Ami One’ counter with a ‘Customer Digital Experience Simulator’ which will preview a possible automatic distributor for Ami One Concept in urban environments, from information on the product right through to delivery. The tool presented on the stand helps to reflect the customer experience and the journey that is most adapted to their needs. Looking over this area is a mezzanine including a VIP area and ‘The Citroënist Café’. At the centre of the stand, Citroën has redesigned its ‘Le Petit Citroën’ boutique. The Lifestyle boutique features two large screens on both sides and inside showcases fun and innovative merchandise including the new centenary collection of accessories and Ami One Concept. A further innovation on show is SEETROËN, the first glasses to eliminate travel sickness. These products are also available online at: www.lifestyle.citroen.com. 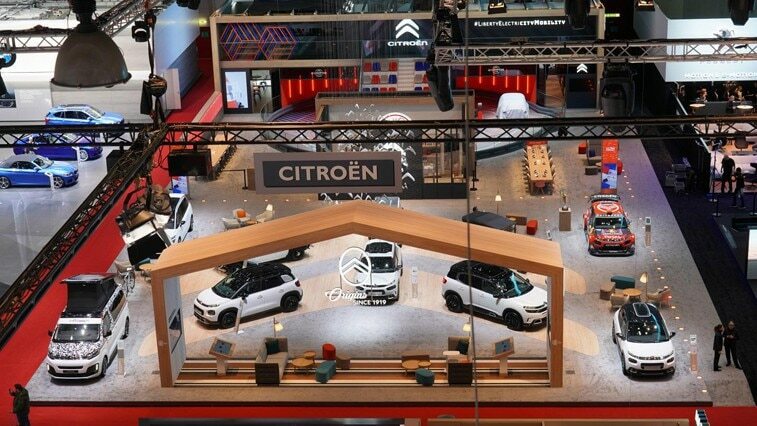 ‘La Maison Citroën’ stand is on the first floor of Hall 7.2 and will be open on the 18 to 25 April for the general public.